Today the City of Camarillo posted a long-awaited update about Cracker Barrel to its Facebook page. Cracker Barrel is anticipated to begin construction in March and open by November 2019. 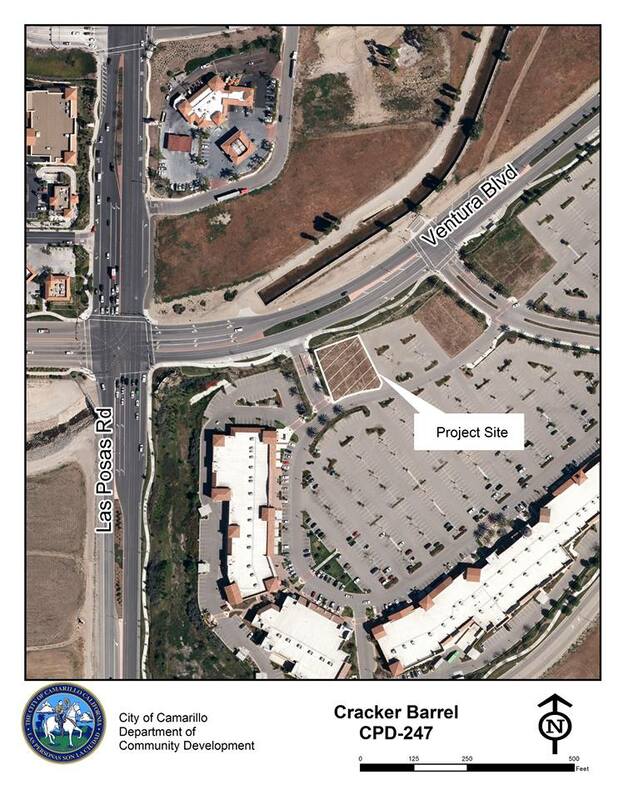 It will be located within the Camarillo Promenade section of the Camarillo Premium Outlets. The last update last August was a planned ground breaking in the Fall of 2018 with March/April 2019 opening date. The city noted that Cracker Barrel, based in Tennessee, decided to expand for the first time in California and has four locations (including Camarillo) in the works. But they experienced delays as they had not been prepared for accessibility and Title 24 (energy efficiency and green design) requirements in this state. The popular eatery opted to commit to completing stores in Victorville, Sacramento and Santa Maria) before moving forward with Camarillo. Sacramento and Victorville are now open; Santa Maria is near completion. That means Camarillo will soon be on the way.